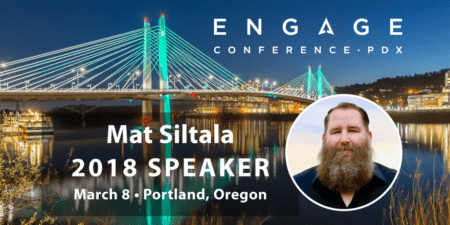 Mat Siltala will be speaking on Content at Engage 2018, which will take place March 8th, 2018 in Portland, Oregon. For more information or to purchase tickets, please click here. 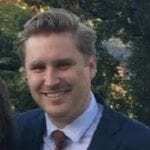 I am President and founder of Avalaunch Media, a full service digital marketing agency with offices in Utah, Arizona and California, specializing in visual creative content that moves the dials for clients. I have been in this industry in some form since 1997. Besides Avalaunch Media, I own two mattress companies. I podcast over at https://www.businessof.digital/ once a week on digital marketing. I love photography, traveling with my wife and family and speaking to audiences all over the world about digital marketing. 2) What criteria do you use to determine which platforms content should be marketed on? For me, it is always less about the platform and more about the influencer. If I can find a good influencer that can promote our content or get on board with us somehow it is always going to be more about what they can do with their audience for me vs “we need to be on (insert any social media platform here). We love when our content is shared across multiple platforms, (and we try to create it so it can be – multiple versions of visuals that work well with different sizes etc) but sometimes it ends up doing better on one platform vs another. That is why I am always paying attention to analytics, for example Pinterest has some pretty good analytics, so why not find something that has performed really well there, and see how (after a reboot of the content) it might do on Facebook or somewhere else. Sometimes it is based on where we feel the clients best audience/community might be built as well. 3) As you know from your most awesome photographs, sometimes amazing content can be created independent of any business purpose. How can a business determine whether such a situation exists and what could they do to take advantage of it? I think when doing this and getting everyone involved it lets potential customers or clients get to know the real you (or business, or people they are going to be working with) and I think this is so huge nowadays. Of course there is risk, but I think there is much more reward than risk if you do a little bit of education and training to try and avoid the pitfalls that could come from it. I know I am different than most, but for me, there is no “on the clock” or “off the clock” so anything I do, I am thinking how it might help the brand.